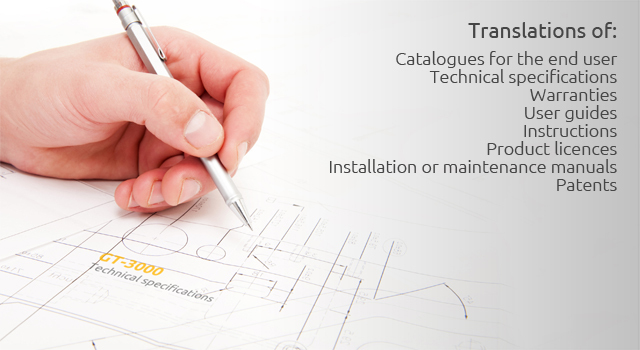 One of the main subject areas of Planet Lingua is the translation of all kinds of manuals, catalogues, instructions and technical specifications, be they for the end user or for internal company use. This type of translations is extremely important to achieve that any machine, device or appliance be used according to its design. Throughout our years of experience we have encountered many texts that did not offer clear instructions in accordance with what was intended to be said. This is why we consider it a type of translation which must be taken good care of. Translation of user guides, safety sheets, installation or maintenance manuals, warranties and brochures for the end user, among others, is essential for, on the one hand, consolidating and increasing sales, in addition to fostering your clients’ loyalty, and, on the other hand, for managing that your in-house processes are executed as efficiently as possible. All of the above has a direct impact on the corporate costs.